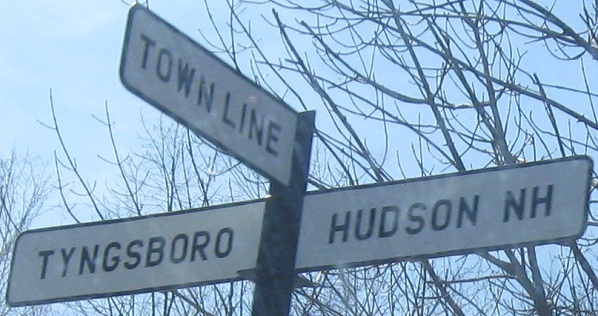 I don't remember how I headed south from Waltham, but these signs were along that road. Church St. SB, south of MA 117 in Kendal Green. 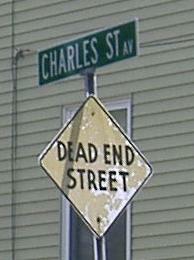 Redundancy in Waltham, along with the old New England font, on a dead-end spur from the actual Charles St.
Waltham St. at Crafts St., Watertown, courtesy Dan Vincent. 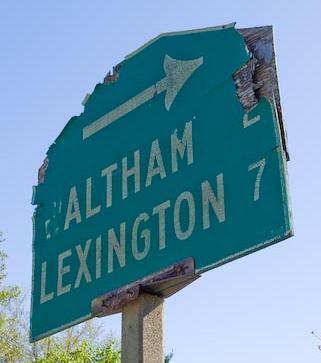 The sign is dated March 1970, and looks every day of its age. 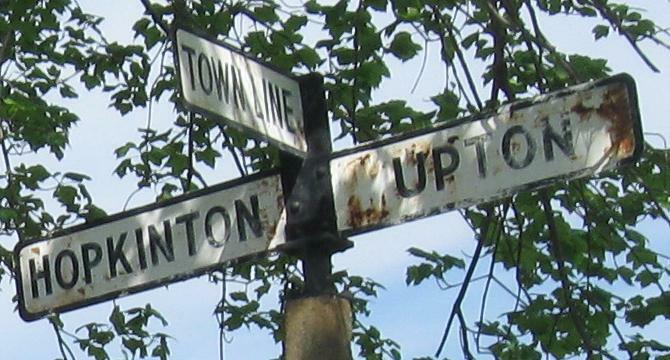 Pretty soon, a metal sign with a modern, straight arrow and modern font will replace this relic. 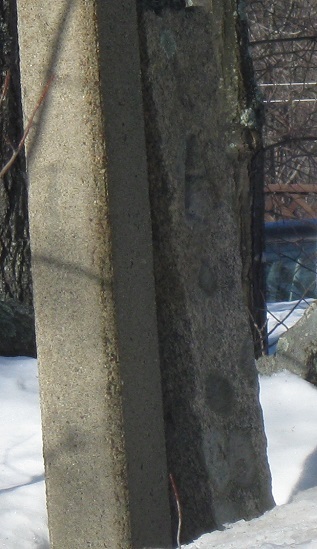 East St. near Flake Mill Rd, with bonus border stone. 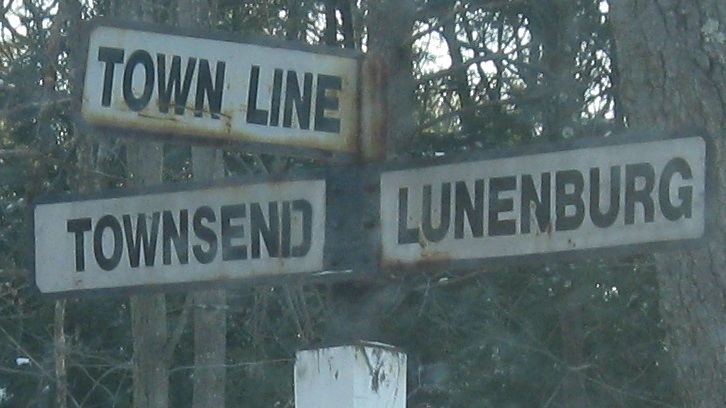 This happens to be the line between Middlesex and Worcester Counties. Warren Rd., also on the county line, as if that matters. 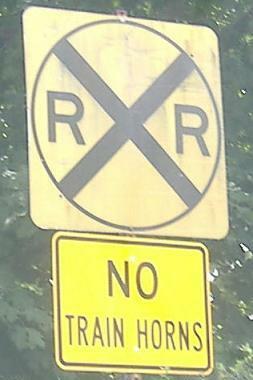 Massachusetts also posted these along state borders. This is on Dracut Rd. 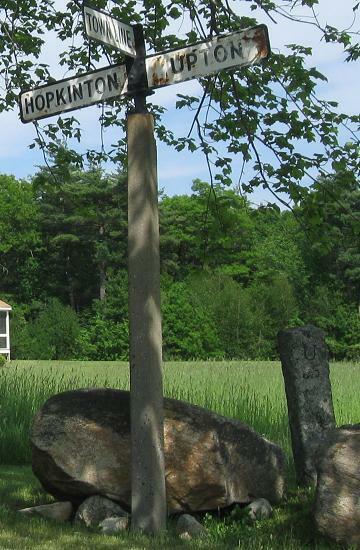 (NH) becoming Long Pond Rd. 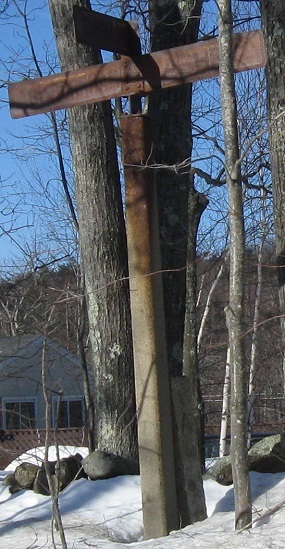 This post is on the west side of Pillsbury Rd. 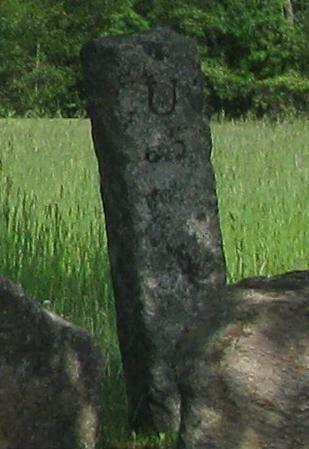 at the Ashburnham/Ashby line, just north of MA 119. It's in dire need of repainting or replacement, but abandonment makes for cooler photos. 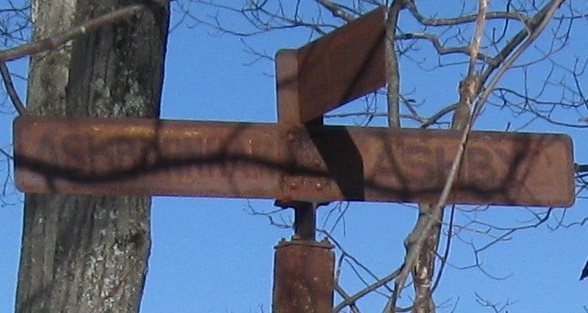 This border monument is just going to hang out at the base of the rusted sign, seeing if you care to notice. I see you, little stone. And now the world can too. 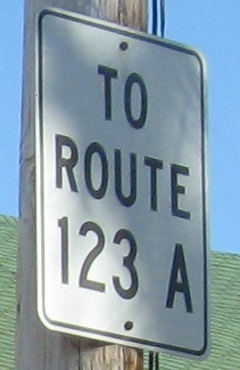 Turning onto West Rd., which enters New Hampshire and becomes the indicated route. 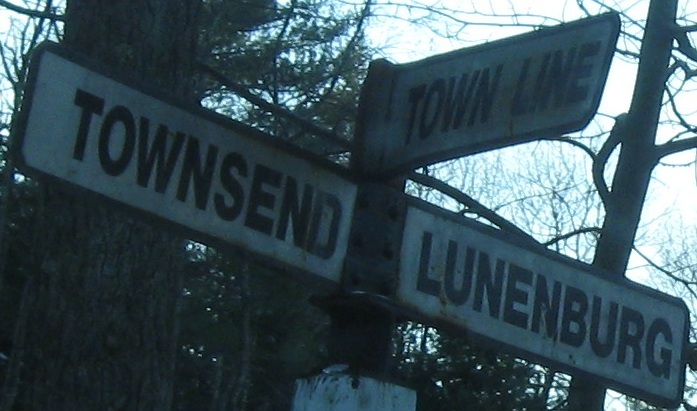 It's nothing in Massachusetts, and nothing on this sign indicates that it refers to New Hampshire, but only locals are supposed to be on this road.